Lorn Seilstad Stirs Up a Hit! She is soon causing a stir when she visits her sister at the hospital....and as fate often has it, Charlotte encounters this young man again, as the doctor who delivered her niece. Hannah is eating a thin broth that barely has any nutrition for a young woman convalescing childbirth. On a mission to ensure patients are fed nutritious meals, she butts heads with Dr. Joel Brooks, who won't budge on menu plans. He is a controlling personality who seems to be set in his ways for someone so young. Determined to find a job using her education, she enters a contest using the latest kitchen innovation, the gas range. She lands a job traveling around Minnesota by train, demonstrating how this marvelous stove can revolution the lives of the average housewife. She has colorful experiences with her traveling companions; a young singer named Lewis and her chaperone Molly, including being schedule in the midst of a strike against the gas company! Through it all, she continually runs into Dr. Brooks, a man who she begins to understand is much more than a controlling personality. Just as she begins to understand him, he begins to see that she is more than a woman who surrounds herself with trouble and chaos. I liked this book because it is a lesson in why we need to take people with more than just what we initially perceive. How often do we just see one side of a story? While Dr. Brooks seems aloof to better nutrition for patients, there is another side to his story that reveals his personality. We may see Charlotte as impatient for change, we learn what motivates her. Can these two stop long enough to see what the other person is truly about? 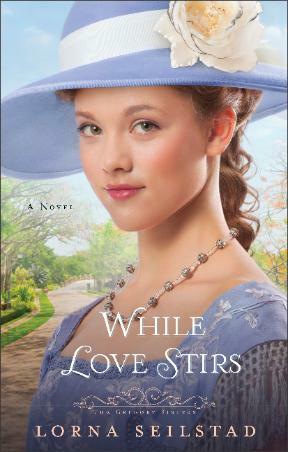 Read While Love Stirs and find out. This second volume in the Gregory Sister's series leaves me ready to search for book one...When Love Calls....coming soon to my library. Take a Chance on One More Last Chance! A lot of people go to college with the express idea of getting out of town and looking for a new life that is more exciting than their home town. For Sarah Cooley coming home to Last Chance, New Mexico has always been her plan. Last Chance never changes and that is exactly why she wanted to come home and teach school like her grandmother before her. Sarah left behind a broken relationship with her college sweetheart who wanted to live the high life with his upward climb to success. Chris Reed bought the Dip 'n Dine, Last Chance's favorite, only restaurant. He has big plans to serve foods that will put the restaurant on the map as a dining destination. His cook and waitress balk at any changes to the Dip 'n Dine and so it appears do the townspeople who want things to stay the same. Sarah, who missed everything about home, resents Chris for wanting to make any changes to the menu. Her plan is to come to the Dip 'n Dine every day for a week so she can order each daily special. Chris is stunned when he sees Sarah, struck by the old fashioned lightening bolt of attraction. Everyone has baggage and for Sarah, Brandon and his big plans for their life together in Chicago. She doesn't want to leave Last Chance. Nor does she want to feel the control he wants to have on their life with every minute planned his way. Chris has Kaitlyn, his younger sister that he cared for and protected most of his life. A single mother who looks for the fun and love she missed out on in life, she often leaves her daughter Olivia alone. She comes to Last Chance and leaves Olivia with Chris. Misguided, she heads out on a trip that promises everything she missed out on by being stuck as a single mom. Learning about the true nature of those we encounter is often a surprise. Whether we are looking for the promise of a better life or the comfort of a familiar life with no upheaval there is a higher plan. Whether we see that and embrace it is important. Life is full of lessons and One More Last Chance is a good story that one can relate to as most of us have similar people in our own lives. Cathleen Armstrong has a gift for creating characters who are believable, endearing and frustrating! I am eager to read more of her books. 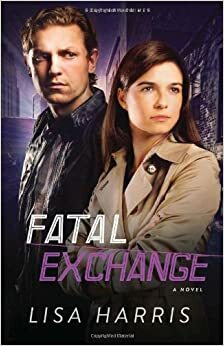 I am lucky that I received a copy of Fatal Exchange to review this month. I love suspense and mystery and this book kept me guessing. One minute I thought I had it solved only to have yet another layer to the plot that surprised me. Rafael Cerda is a young man attending a private school on a scholarship after pulling himself out of the pit of poverty that comes often in single parent families. His father passed away from a drug overdose and his mother works in a laundry and Rafael delivers papers and does odd jobs to help out the family. He participates in a Big Brother Program that has had an impact on a life that could have gone south in a drug ridden neighborhood. His younger brother Eduardo has had the benefit of all this hard work but missed the hard working gene, preferring to be a dealer instead. Enter the cartel leaders he owes money to and you have a drug deal about to go as sour as it can get. Mason Taylor, handsome undercover cop who volunteers at the Big Brother Program is part of the positive influence on Rafael Cerda's life. Mason is beset with his own issues to deal with, coming off the death of his partner Michael Hunt and the imminent death of his own long absent father. Blamed by Michael's family for his death, Mason has a lot to prove in clearing his name and setting things right with the Hunt family. Emily Hunt is Rafael's teacher and youngest daughter of the Hunt family. She didn't join the family business as a cop, choosing instead to make an impact on students' lives. All seems to be right in her world when she is met by Mason with the news that he was looking for Rafael. Unable to connect the dots with him on this urgent need to connect with Rafael, he shows her pictures he received in a text from Rafael: Eduardo is shown beaten with threats to kill him if ransom isn't met! A race begins to find Rafael so they can save Eduardo and prevent the loss of another member of the Cerda family to drugs. However, something happens to switch things up with Eduardo and Rafael. Rafael enters the classroom with a gun and hold the entire class hostage. Emily is left to try to keep her students calm, but how long can she keep it cool when one of the girls, an asthmatic, begins to have severe problems breathing. Will Rafael back down? Emily is a courageous woman who fights for the safety of her students; the hostages and the hostage taker. What follows could be spoilers to a well crafted plot so I am not going to share spoilers. I will say though, that this is a good read for anyone who likes a mystery! This is my first experience with Lisa Harris' writing and I plan to look for more. I like a book that challenges my crime solving abilities, albeit wishful thinking, to keep my mind going. This is the second book in her Southern Crimes Series, so I will be looking for Dangerous Passage to get the full series in before book three comes out in 2015. Life lessons make for good stories and it is much safer to read about it in an arm chair than pass the test of our older and wiser peers. Keith Watson is a young man who is going places fast. His boss, David McMillan sees Keith as he himself once was; too busy for the things that matter the most: a wife and children to enjoy living life with. He brought the philanthropy side of his firm, McMillan Charitable Foundation in-house and assigned Keith to manage its day to day operations. Perhaps seeing something bigger than himself would put life into perspective for Keith. David's wife had died a few years before leaving David to realize how much he missed by putting his work before his family. His daughter Debbie is still bitter about having a father who was always to busy for her recitals or to spend time as a family. As the story opens we read a letter from 11-year old Haley, asking the foundation's help finding her neighbors child who was given up for adoption more than twenty years ago. As the letter goes, Dr. Chandler has been undergoing treatment for cancer and Haley want to reunite mother and son as a birthday gift. Keith tackles the challenge of finding Maureen Chandler's son with little to go on except where a private detective left the trail cold. As the story continues life unfolds for Haley, her mother Claire, Keith, Maureen and David. All have a story to share. Anger, regret and forgiveness play a large role in this story; themes that are commonplace in human nature. It is what happens next that makes the best story and helps us understand how lives get so complicated in the first place. I did have my hankie nearby but it was worth it.